We know; Spring is a CRAZY time of year with state testing, Open House, end of the year activities!! A fabulous group of teachers got together because we want you to relax, refresh, and rejuvenate by rewarding you with a GIVEAWAY!! I'm always amazed and envious of colleagues' desks that are ALWAYS cleared off and you can actually see the desktop! (And yes, those same friends have houses that always look like home magazine layouts; WHERE do they keep their "stuff"?!) 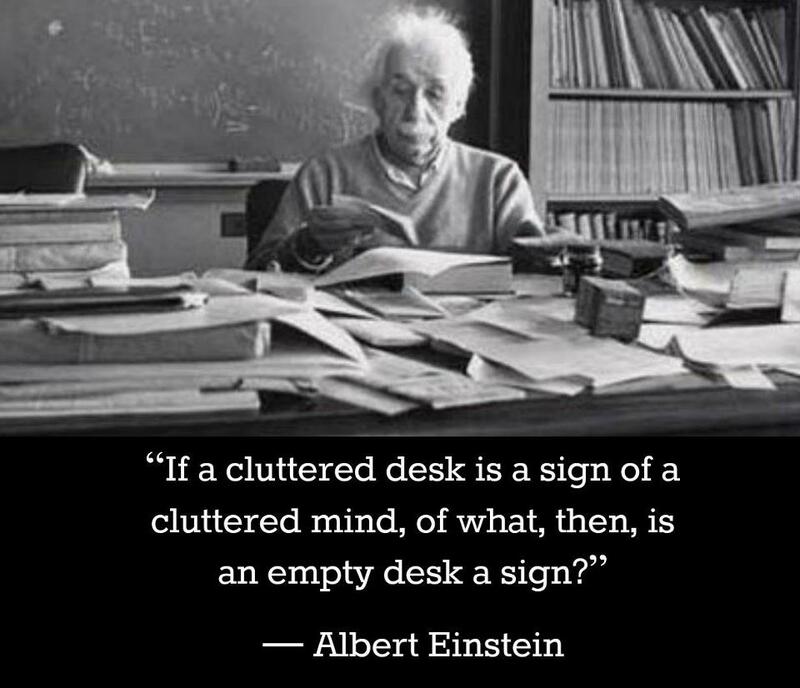 I don't know about you, but no matter how much I try to clear my desktop at school, by the end of the day it is PILED high with papers, notes, pens, paperclips, books, and I don't know what else!! Seeing it like this is NOT relaxing! Although, according to Albert Einstein. . .
"We all have busy lives. We just need to capitalize on small increments of time to get things done. When you hear yourself say, “I DON’T HAVE TIME!” I want you to stop right there and do two minutes. We do have time if we would not allow ourselves to become overwhelmed! A desk is a tool but if you abuse the tool it can’t help you do what you need to do! Part of getting rid of the stress in our lives is being able to find things when we need them..."
Yikes, this resonated with me!! A couple of her articles with very common sense, helpful steps: Desk Chaos Control and Is Your Desk Messy? Anyway, I'm still taking those baby steps but working my way to seeing my desktop! 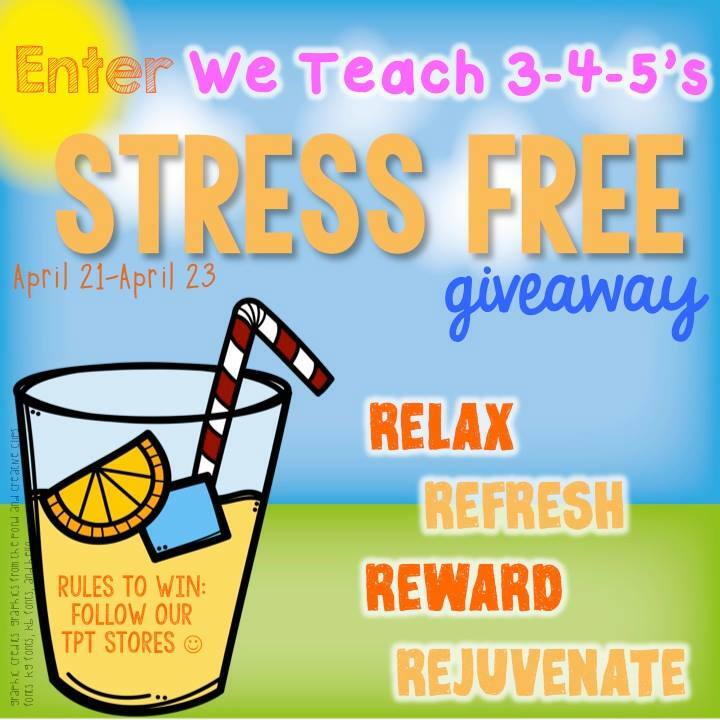 Once you clear off that desk, relax and congratulate yourself by entering our Rafflecopter giveaway (& get to know some mighty creative and awesome TpT stores)! Four possible prizes to rejuvenate and reward you! What a great website!!! Thanks for linking up and for sharing this organization resource! Good luck with all the busyness! I agree! I always have piles of papers everywhere! I've been trying to make a conscious effort to keep my desk cleaner this year though by putting things back where they go instead of always just adding to the piles! I can't wait to do some more spring cleaning in the classroom though!